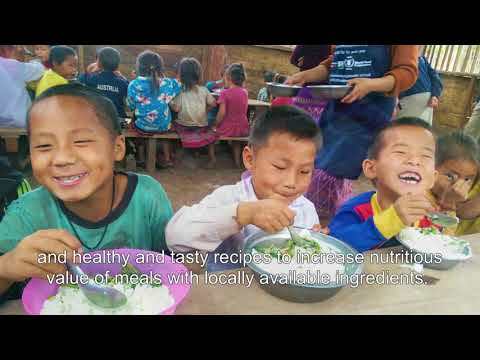 In Oudomxay Province, Northern Lao PDR, the Fit for School program has partnered with the World Food Program (WFP) to spread the improvement of water, sanitation and hygiene (WASH) in schools, with a particular focus on the influence of better WASH on nutrition. In 10 schools that receive school lunch support from WFP, the Fit For School approach uses existing structures to improve WASH by focusing on daily group activities, such as handwashing and toothbrushing and implementing routine cleaning schedules to maintain the facilities. GIZ and WFP both bring expertise and funding to achieve the joint objective of improving hygiene practices and nutritional gains in schools.